Farmers in Karen State have been told to apply for land concession of their farmland that were either confiscated or were sold off by officials in the previous military government before the 2010 national election. From February this year farmers can now apply to village administration offices to get back the use of their ‘stolen’ land. 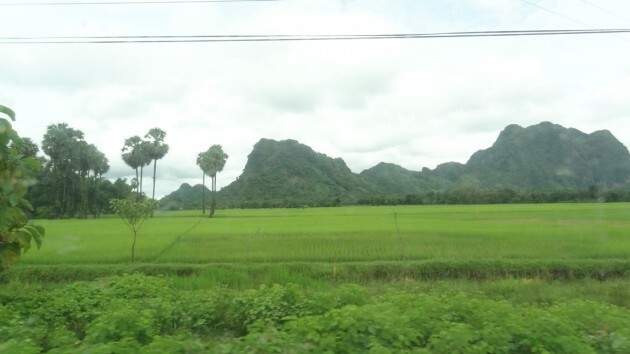 Farmers in Hpa-an area confirm that application forms have been sent out since early February to all related government offices. The Hpa-an Township office has so far received over 100 applications. The applications will be forwarded to relevant authorities. Saw Tar Mike, a village administration officer from Hlarkamyin village in Hpa-an Township spoke to Karen News. Saw Tar Mike said that this is an effort by government officials to solve land problems and to return registered farmlands that had been confiscated or sold during the previous military government’s reign. Local sources explained that farmers do not need to pay any fees for the application forms and farmers were told that less complicated issues will be solved at village level, but complicated matters will need to be reported to the relevant government departments. Speaking to Karen News, a villager from Mainmashar village in Hpa-an Township who had applied for the land concession said. In March this year, a report titled – Losing Ground – was released by the Karen Human Rights Group that documented the land grabs by the Burma Army in Karen State. The report highlighted cases where the Burma Army forcibly took land in Karen State, despite a 2011 ceasefire agreement signed between the Karen National Union and Burma’s government.